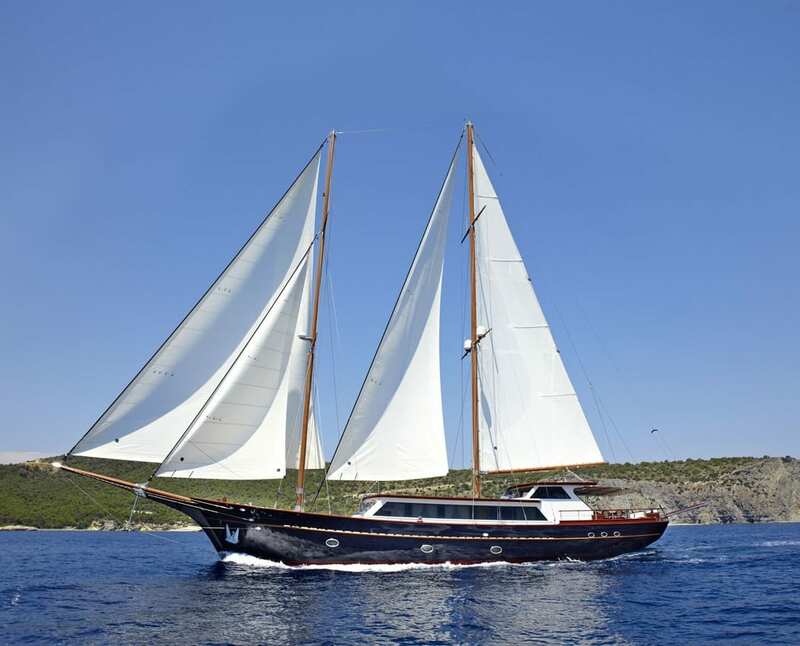 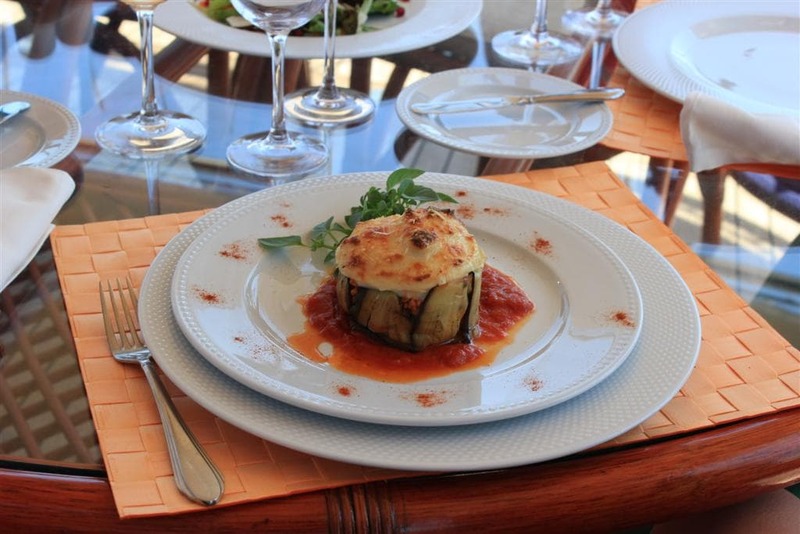 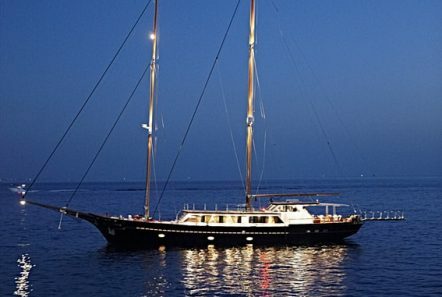 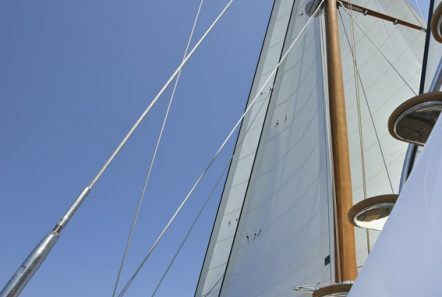 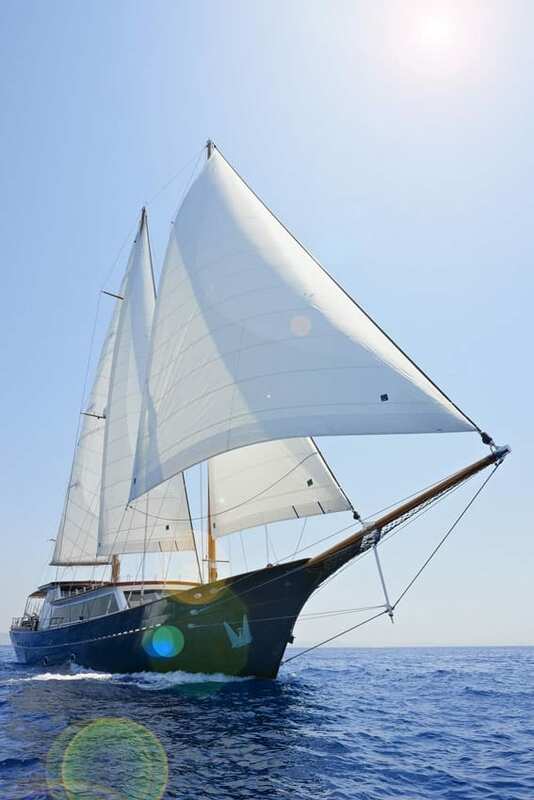 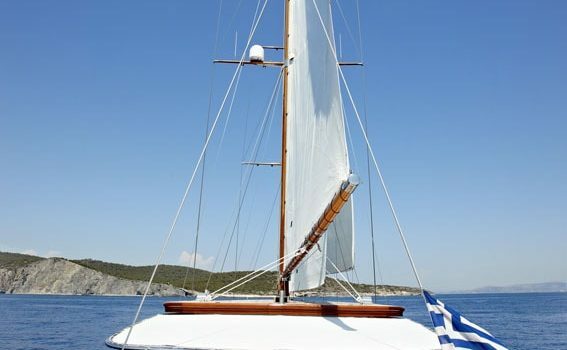 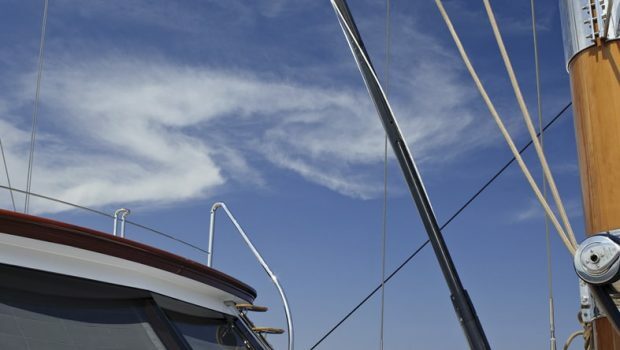 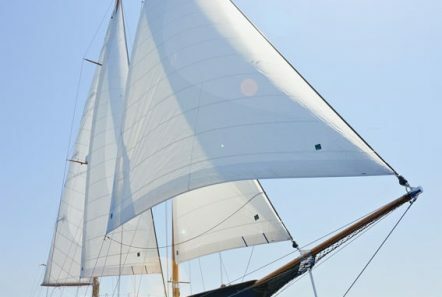 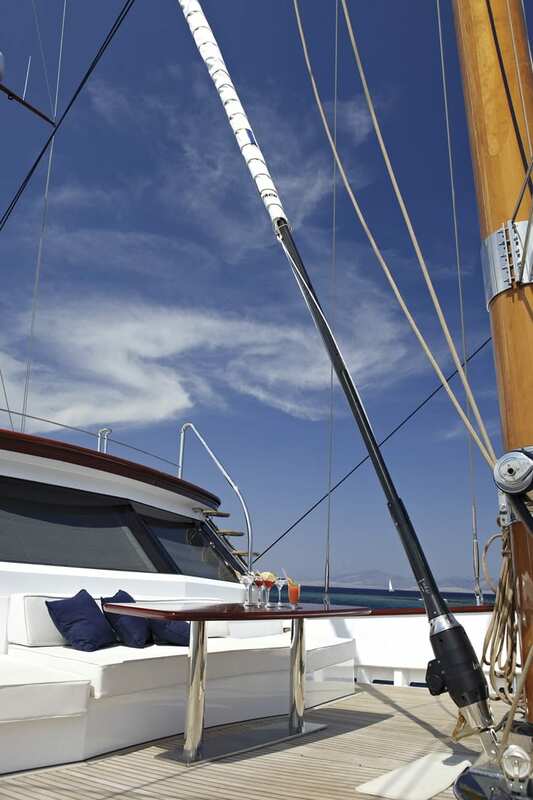 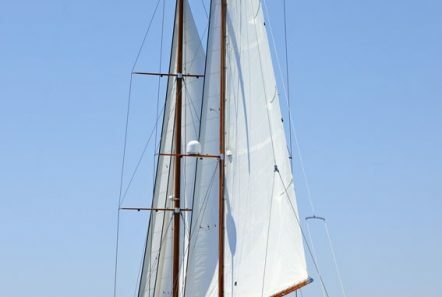 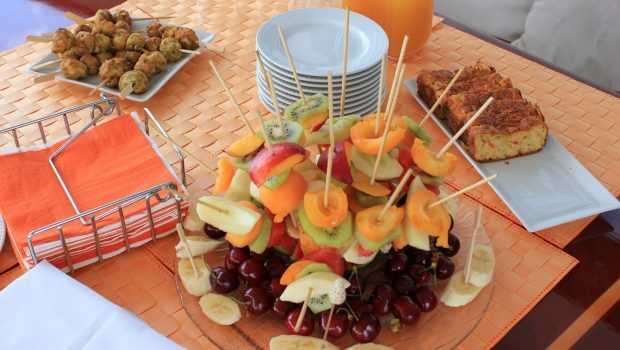 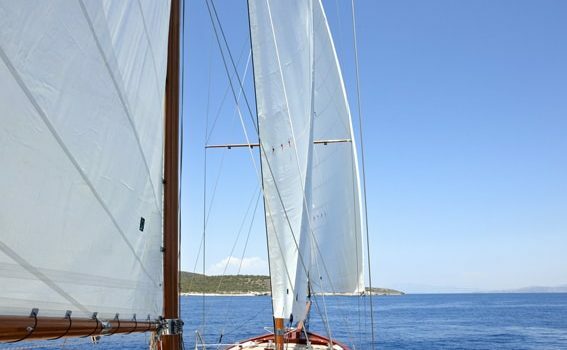 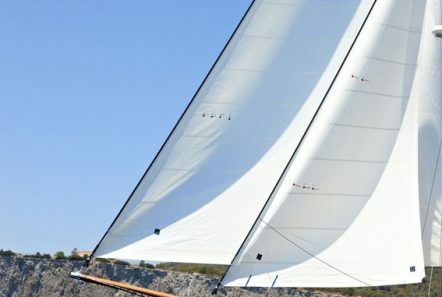 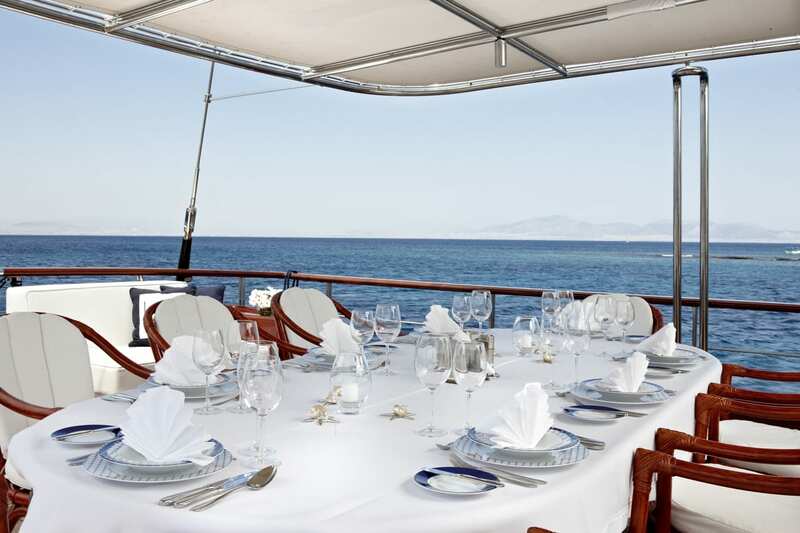 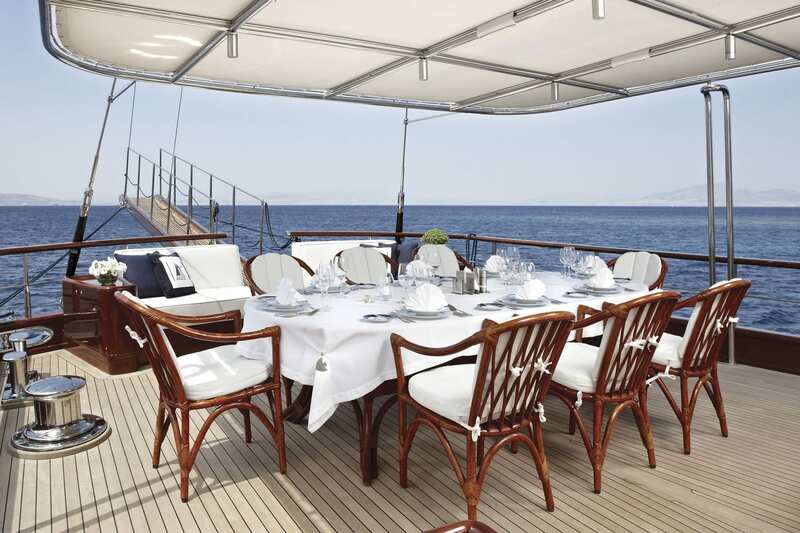 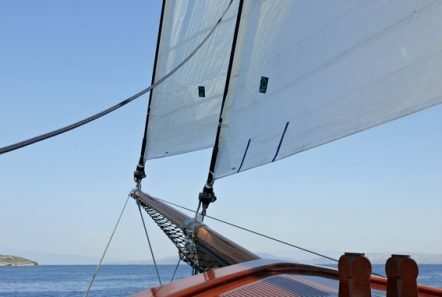 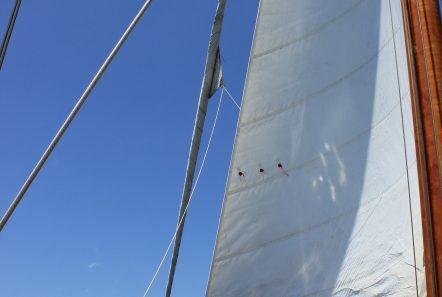 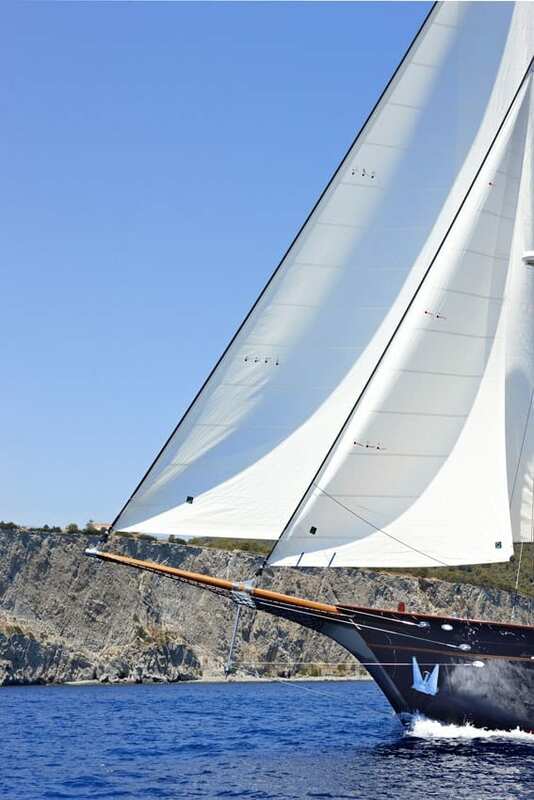 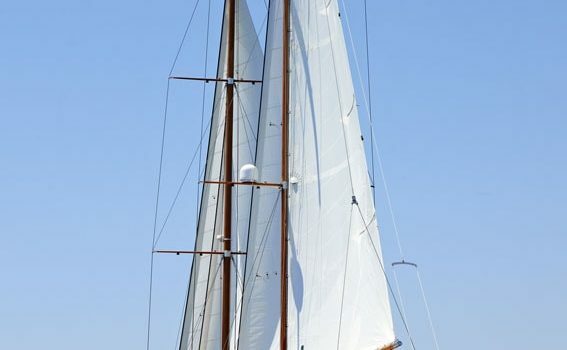 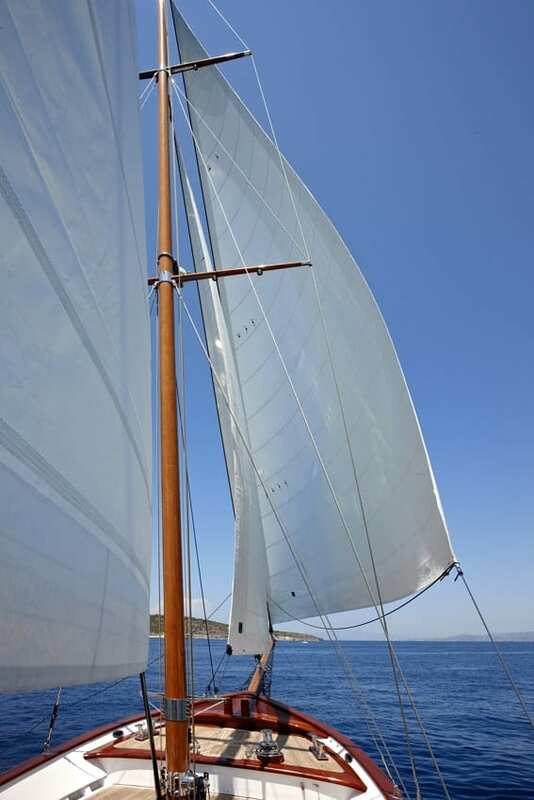 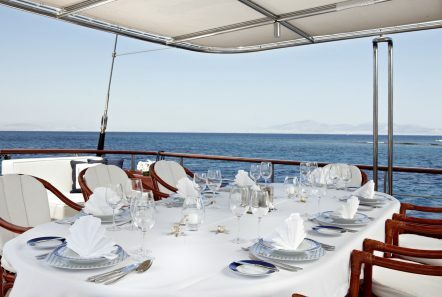 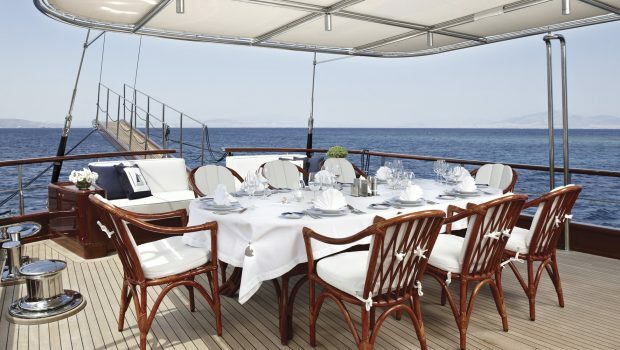 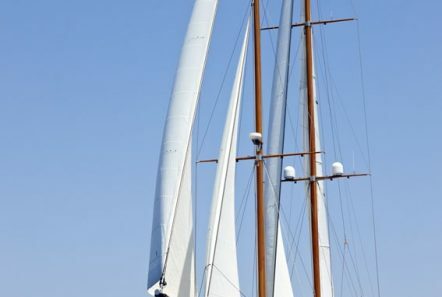 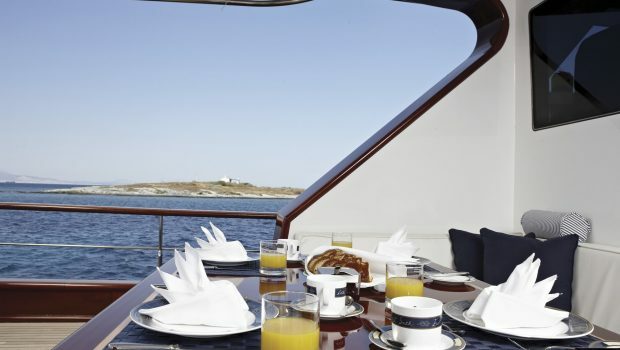 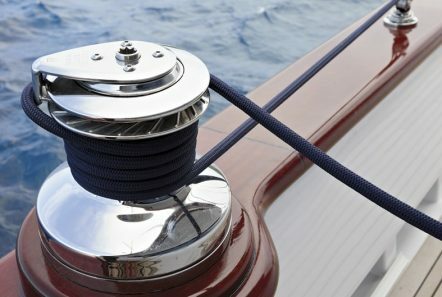 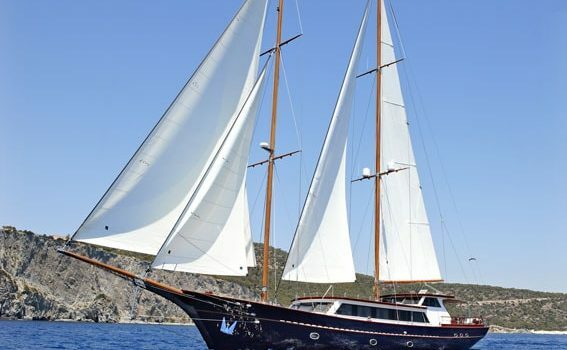 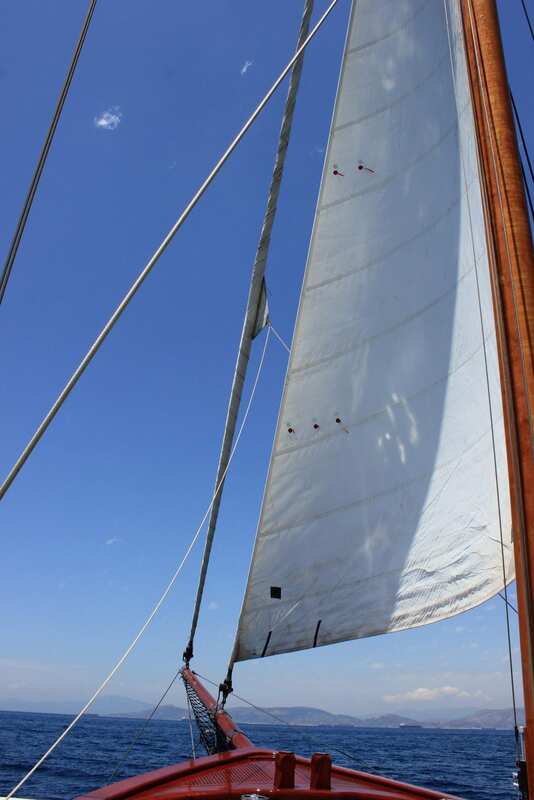 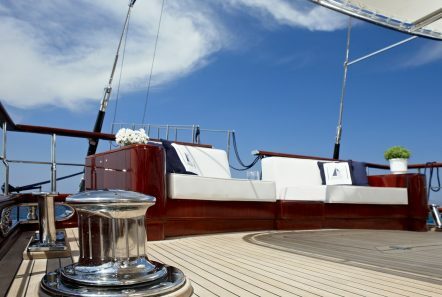 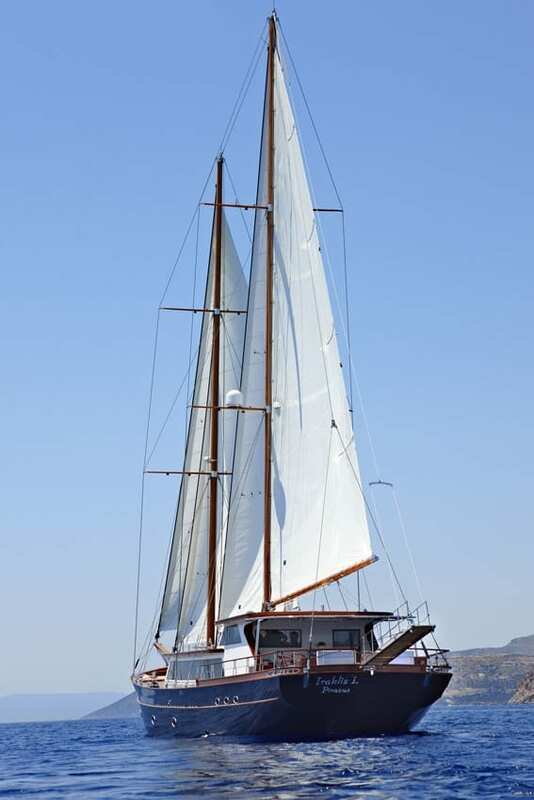 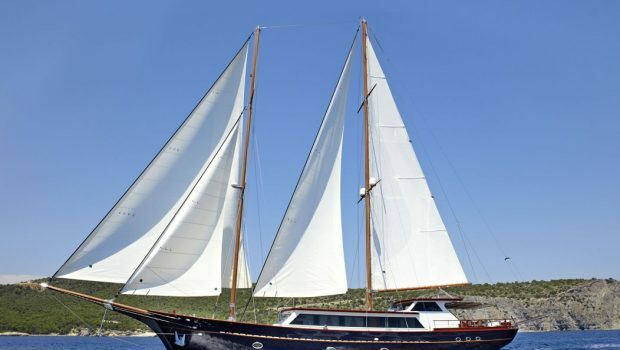 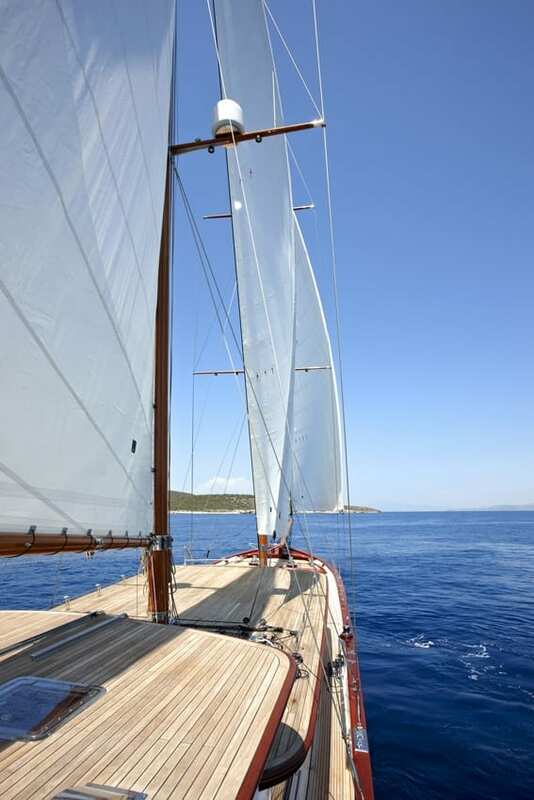 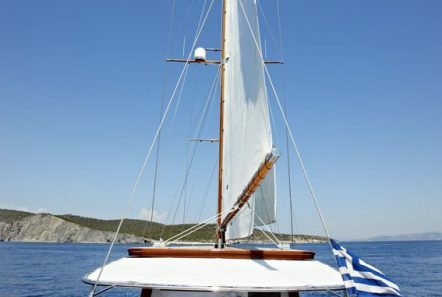 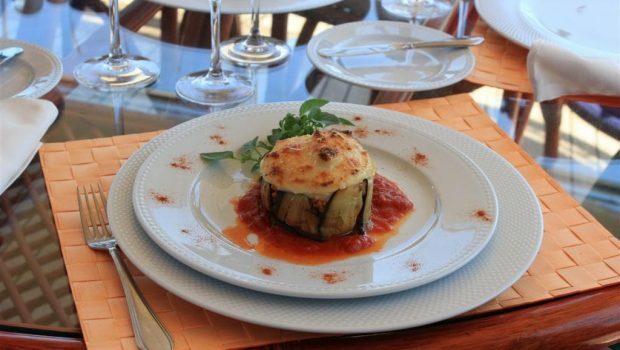 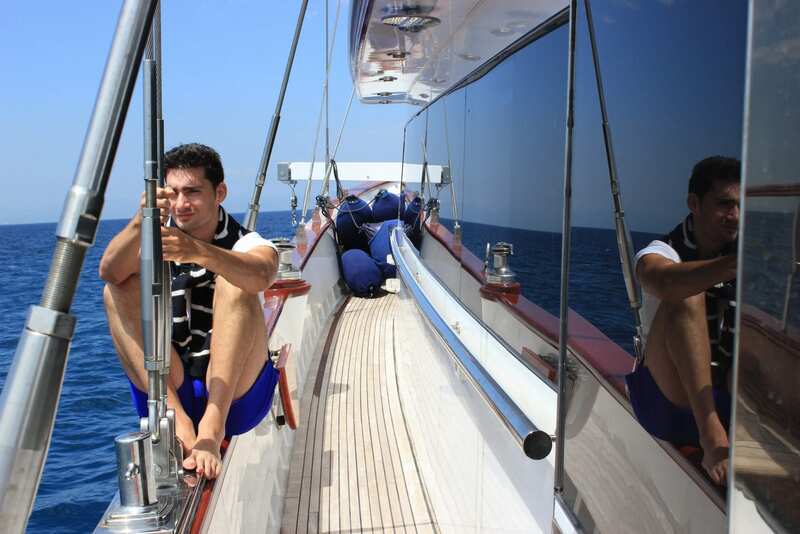 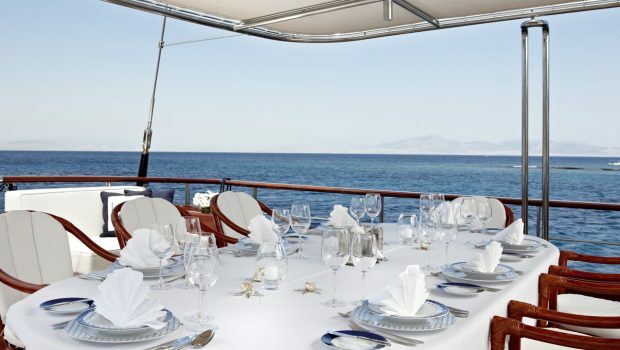 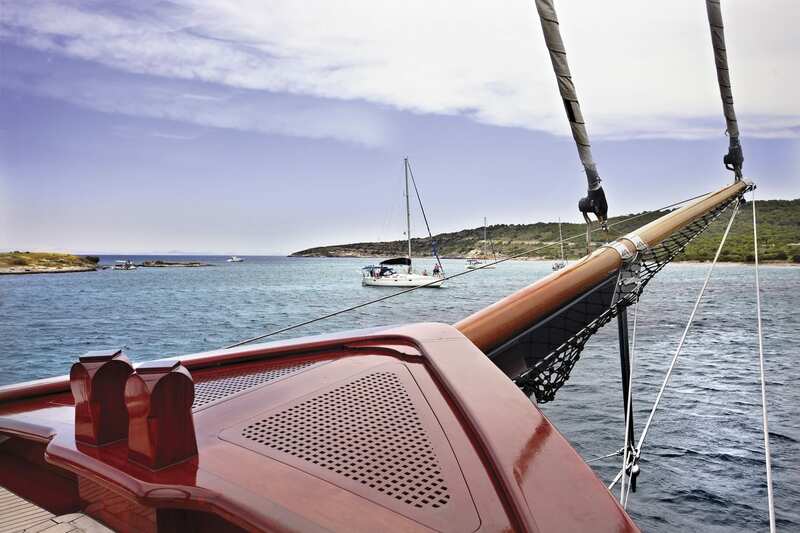 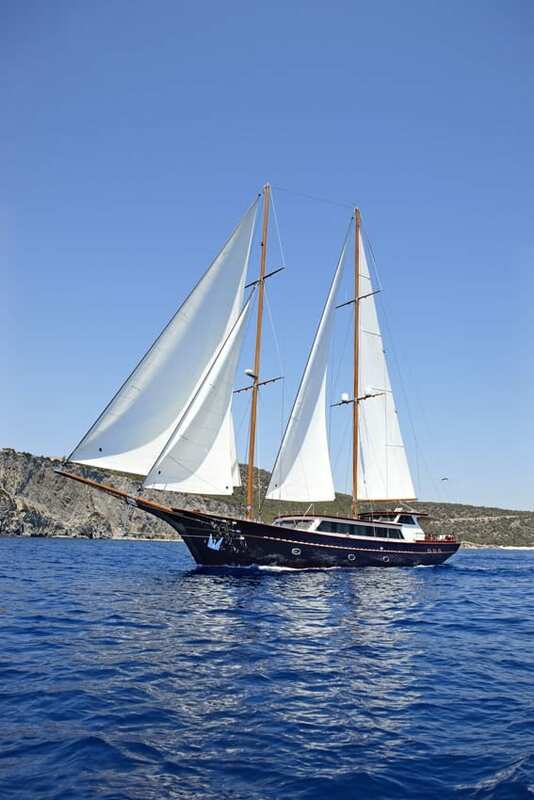 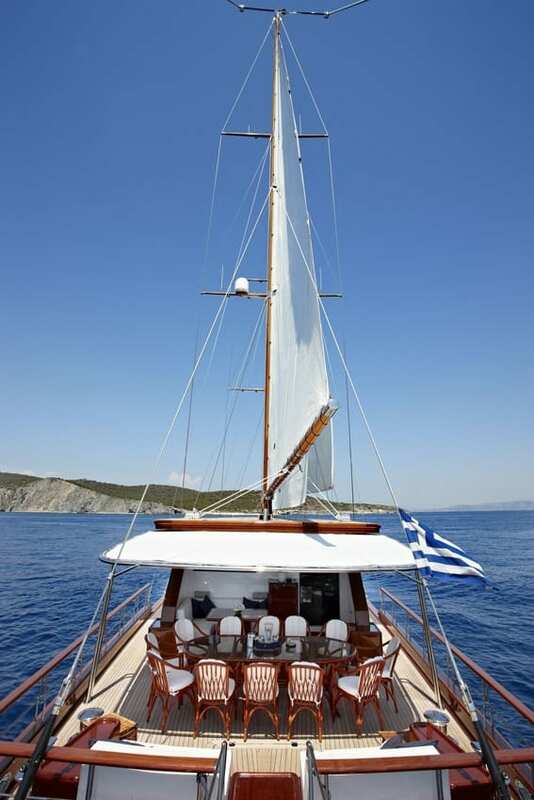 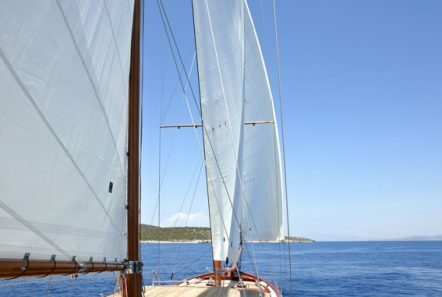 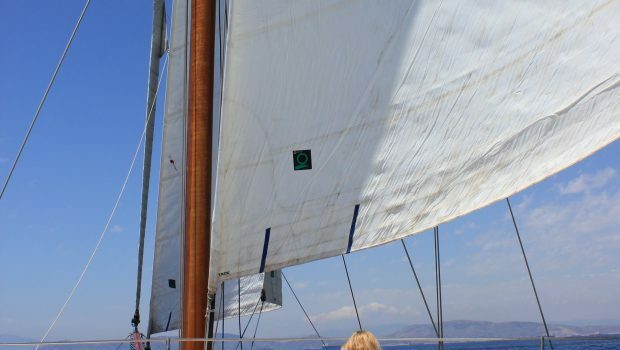 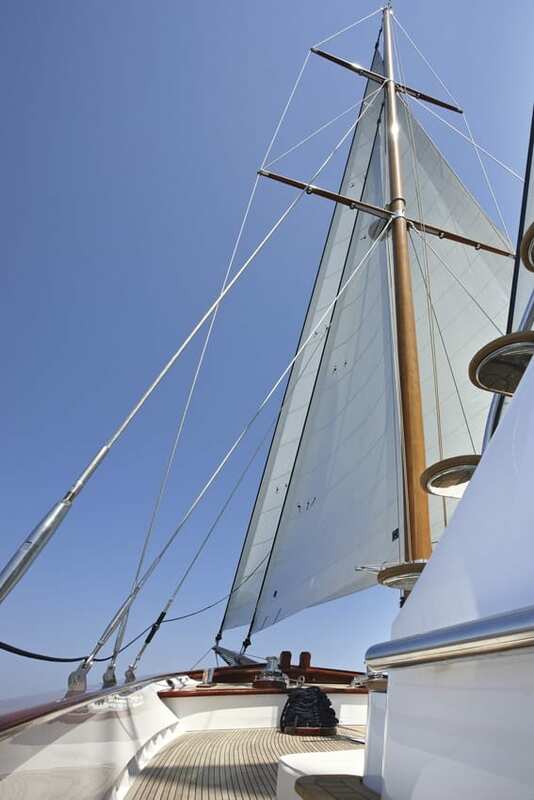 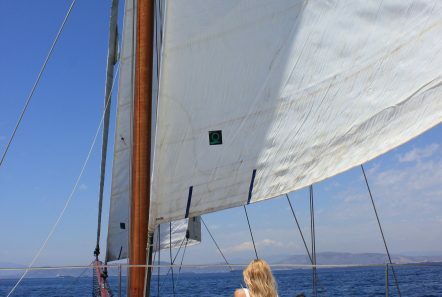 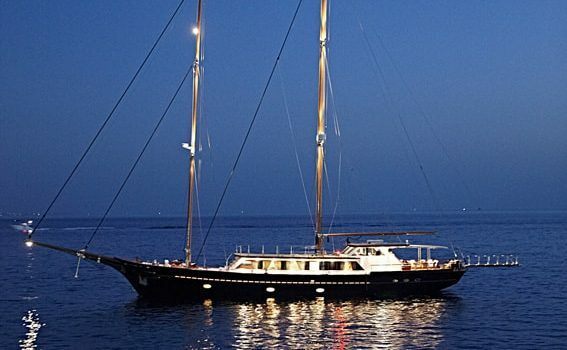 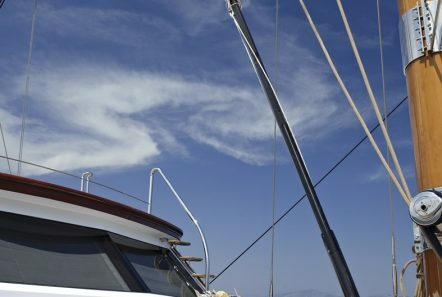 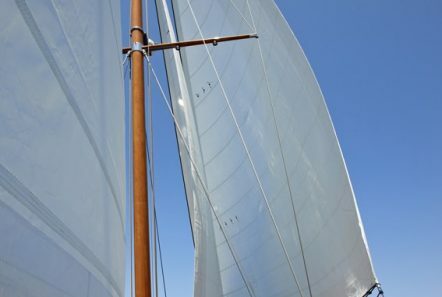 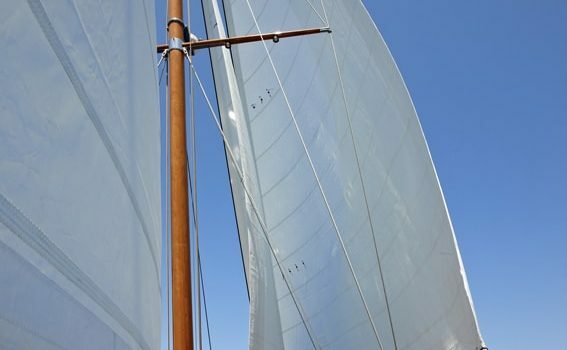 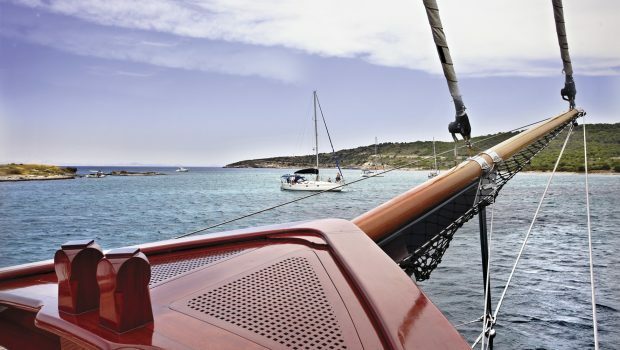 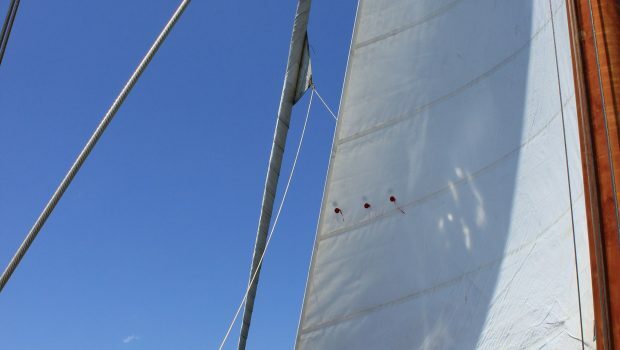 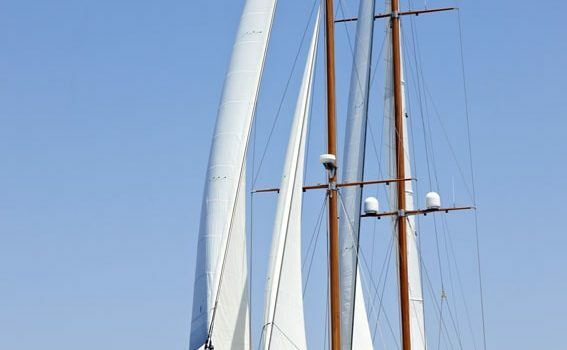 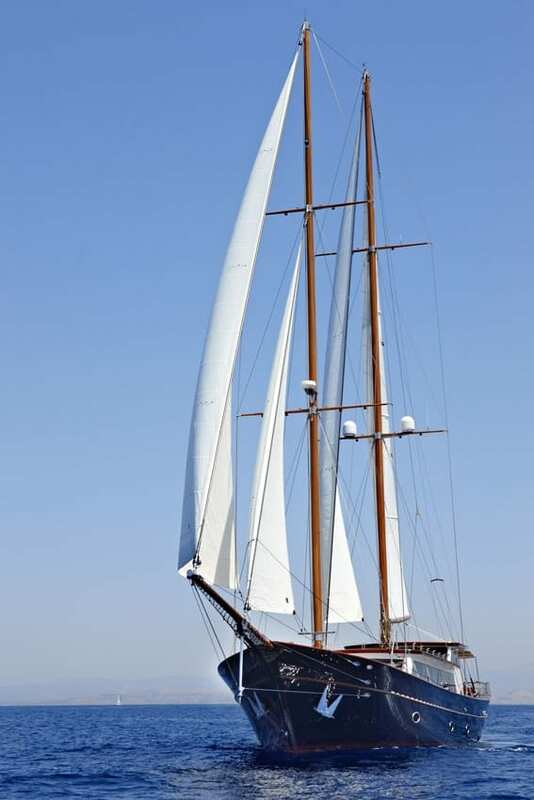 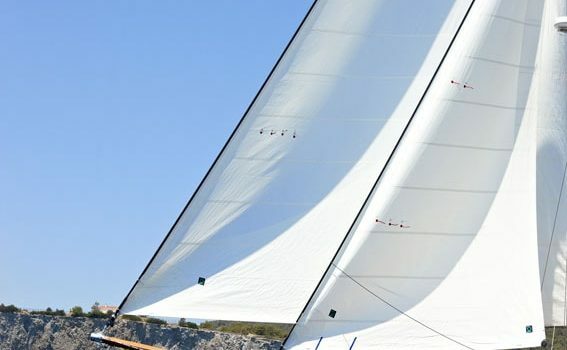 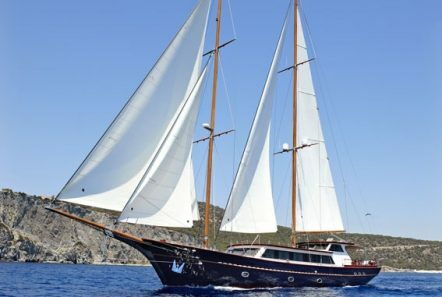 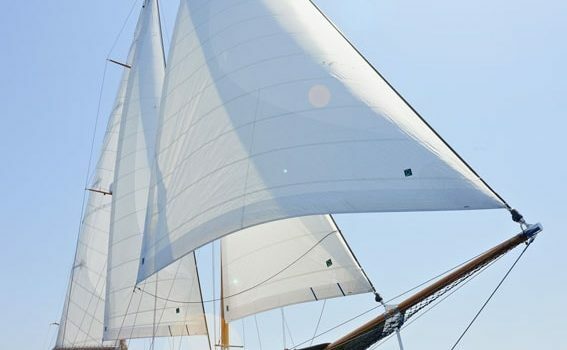 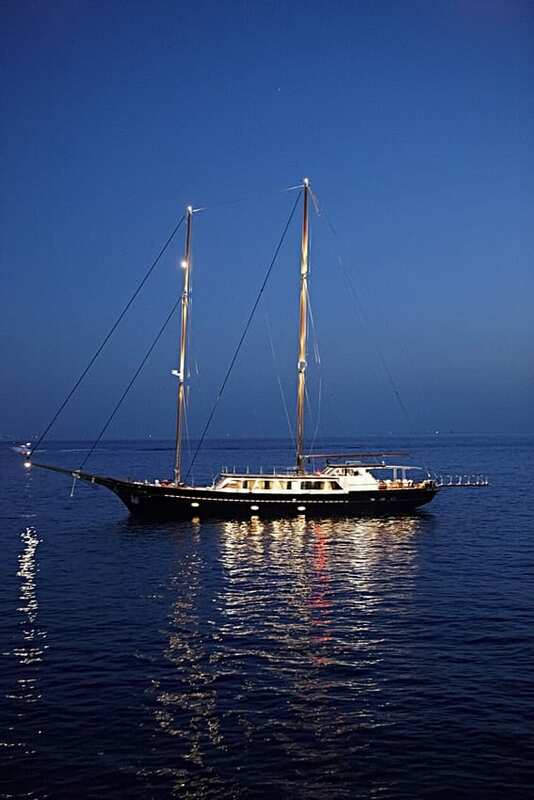 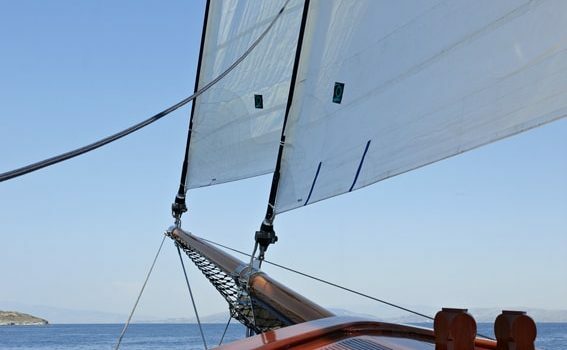 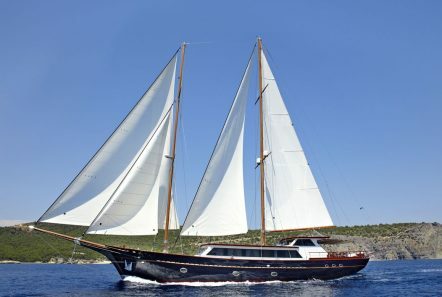 The M/S IRAKLIS L is the perfect yacht for a Greek sailing holiday with an overall length of 134 feet. 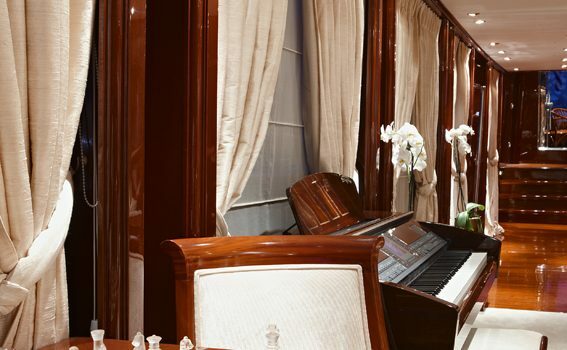 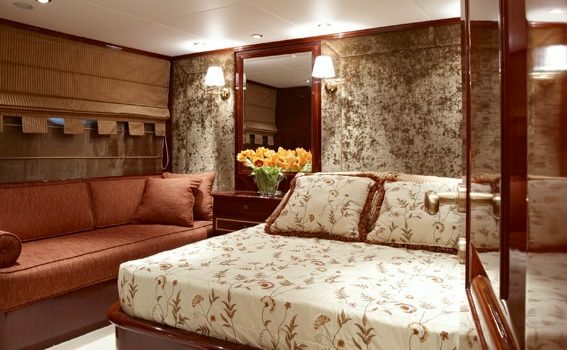 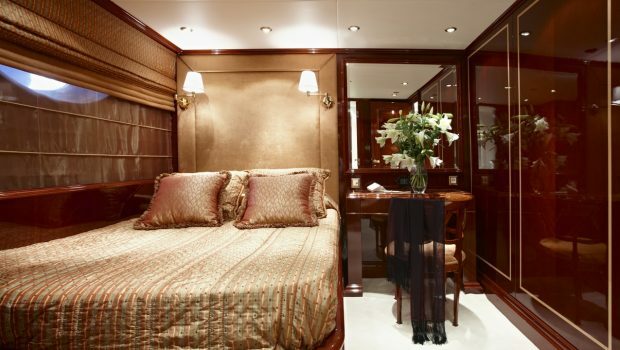 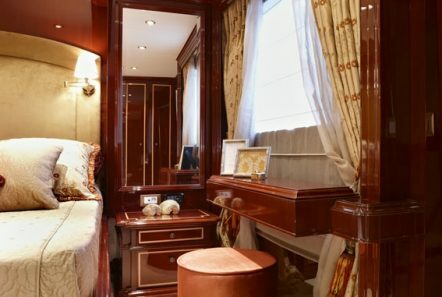 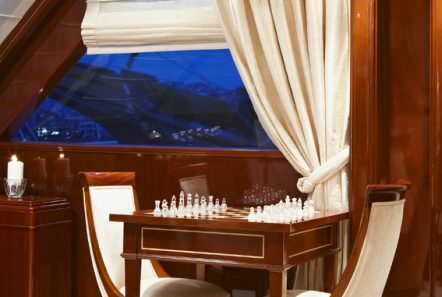 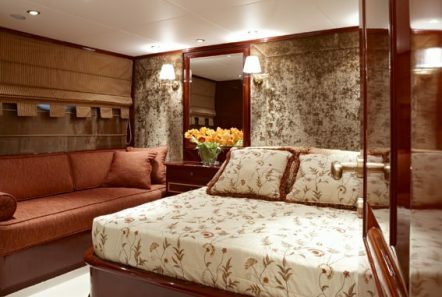 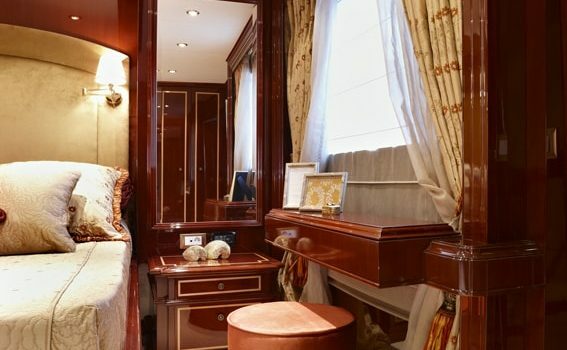 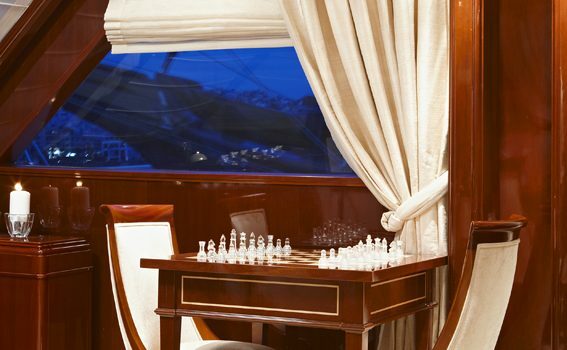 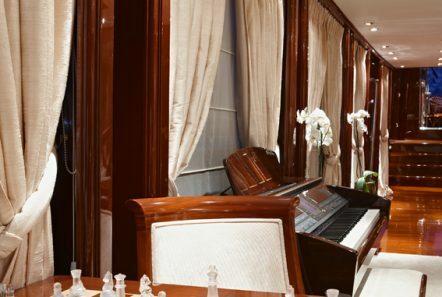 Six spacious staterooms accommodate twelve guests in luxurious comfort; the Master stateroom, located on the Main Deck; the VIP stateroom, located on the Lower Deck, ; two staterooms with one double bed and one single bed/sofa (perfect for children or a couple); one double and one twin stateroom. 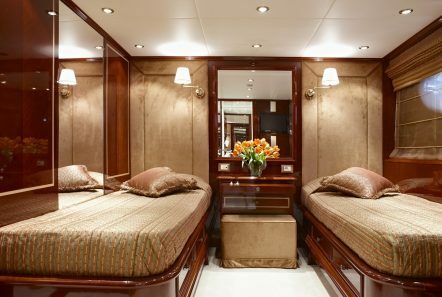 Each of the 6 staterooms have facilities en suite, hydro jet showers and individually controlled TV, DVD, CD, MP3 and radio stereo. 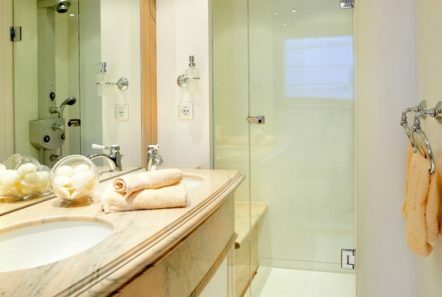 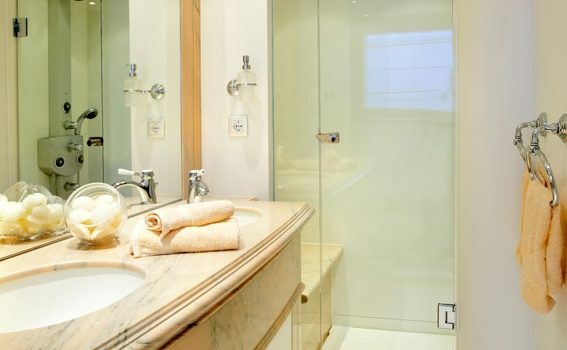 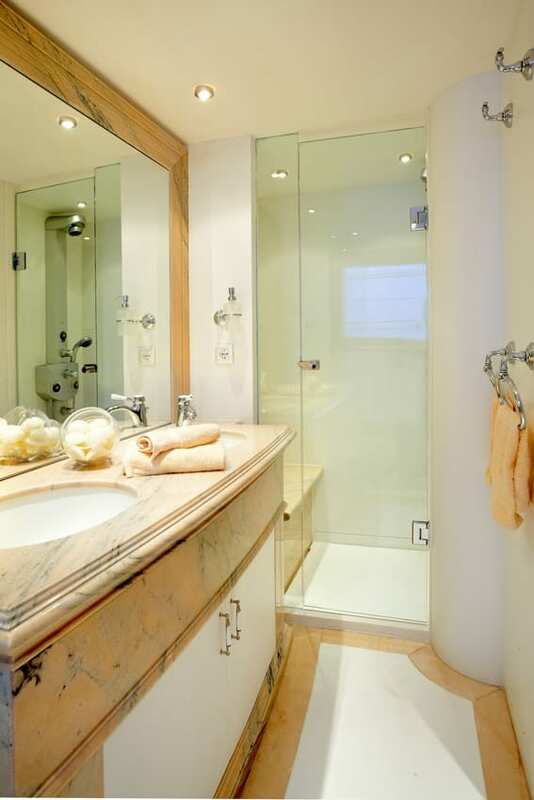 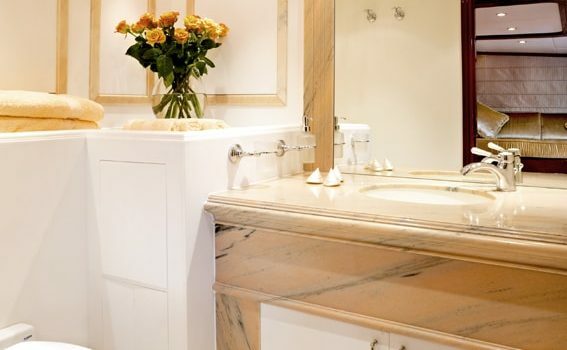 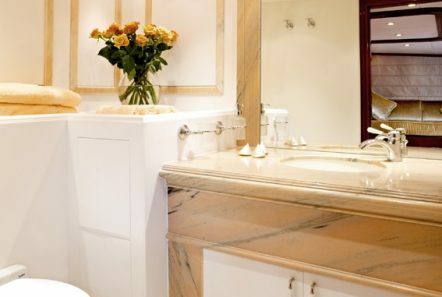 The bathrooms are comprised of marble and some with double sinks for added convenience. 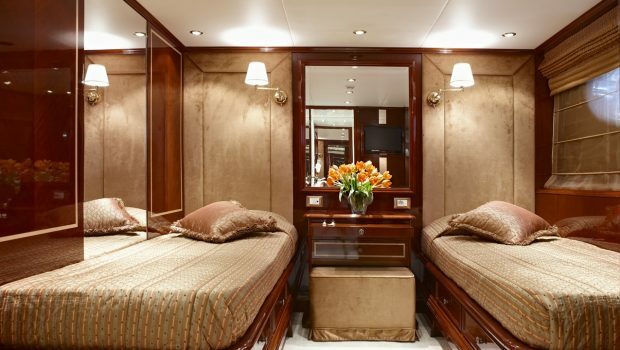 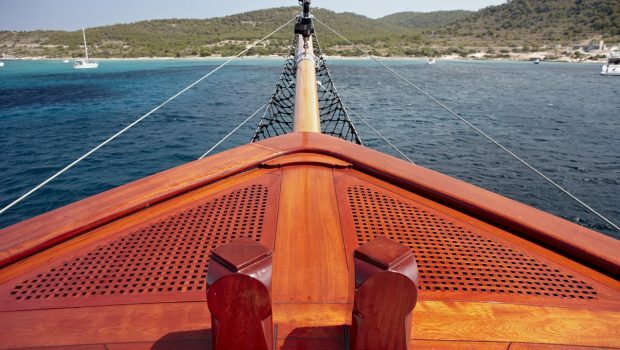 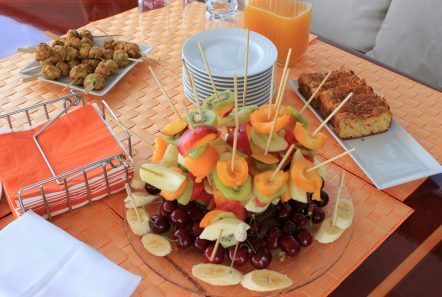 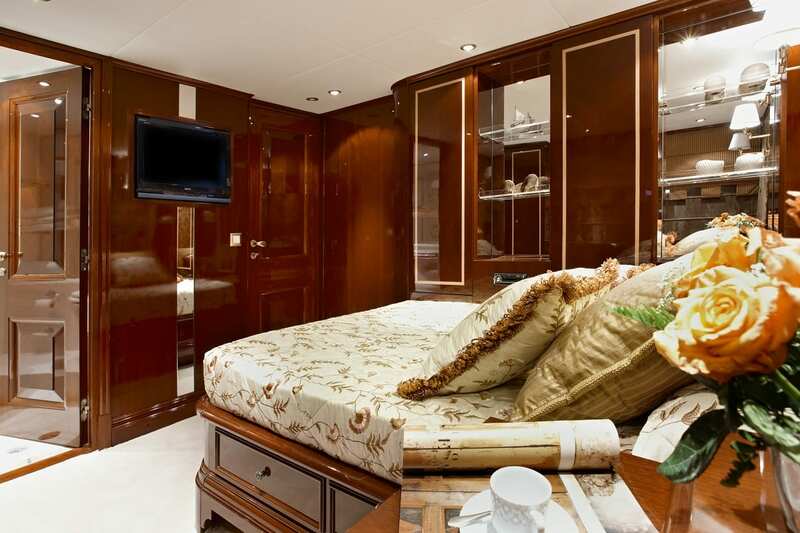 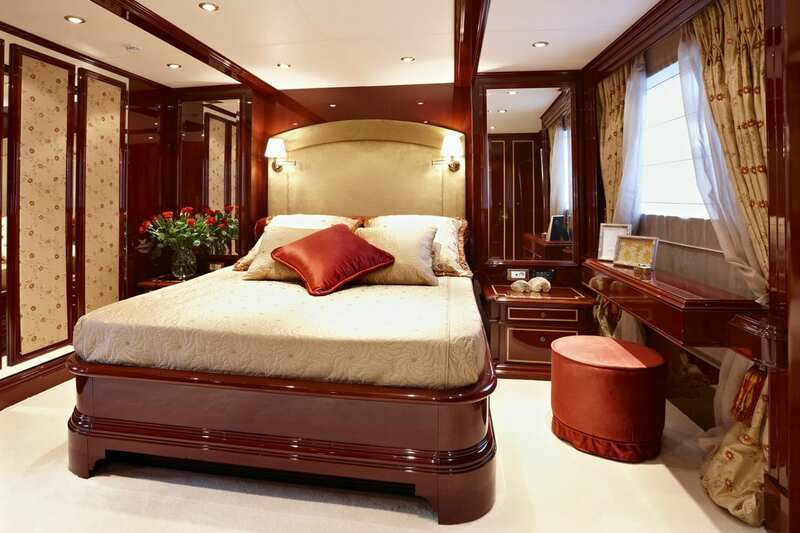 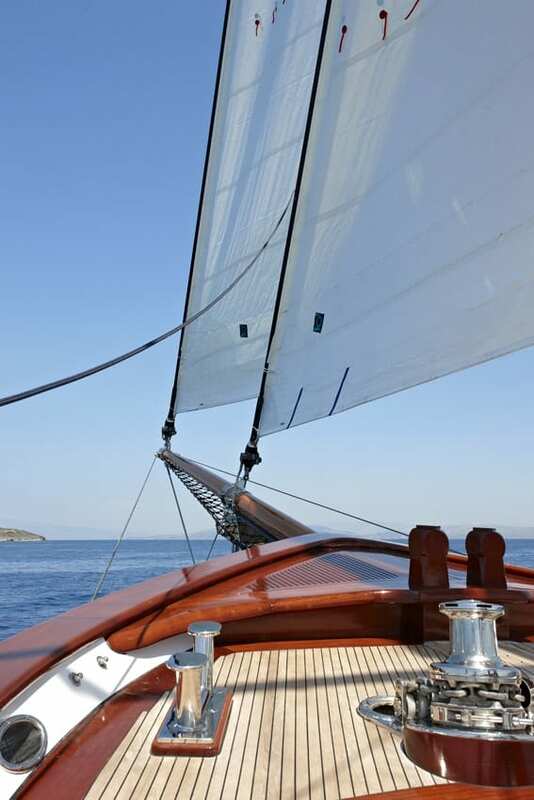 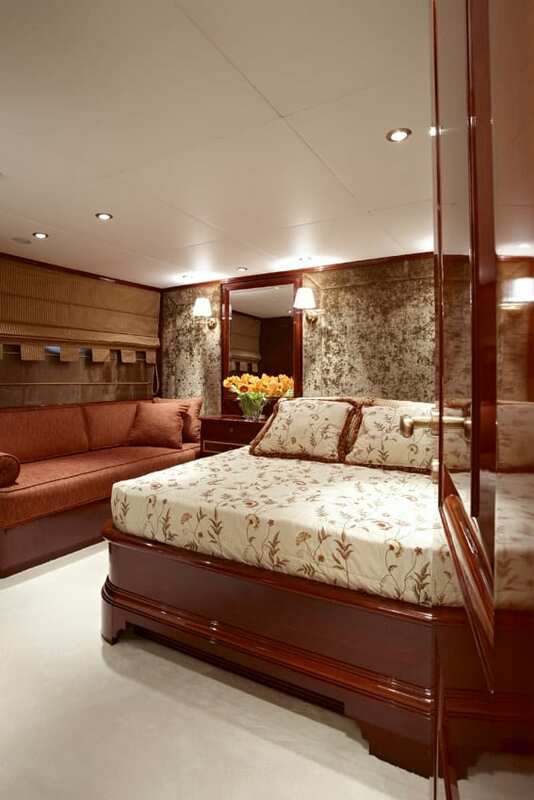 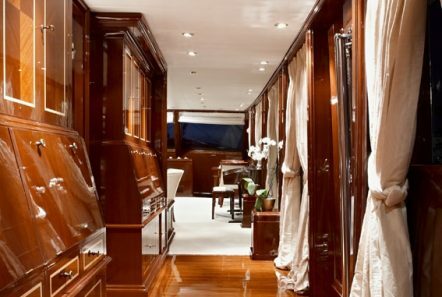 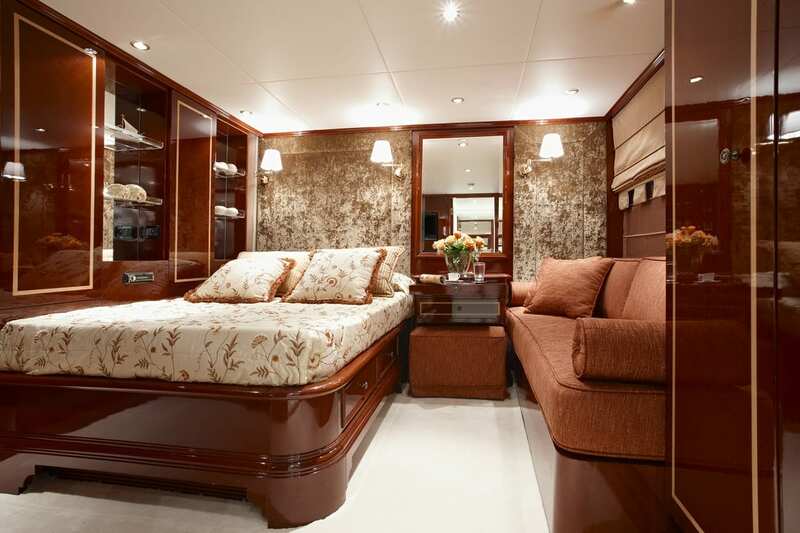 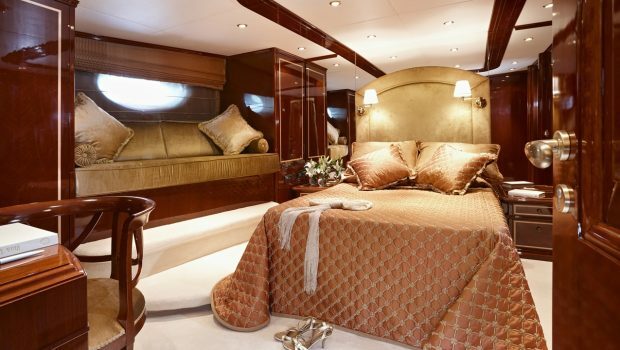 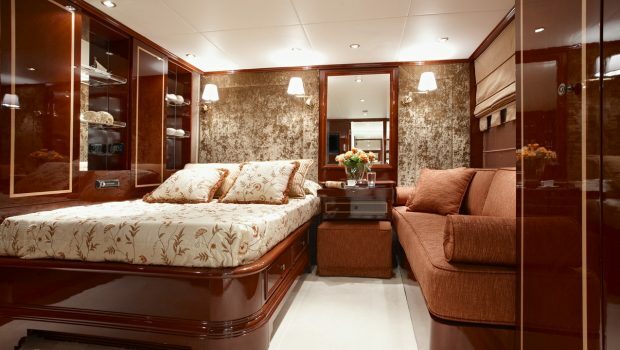 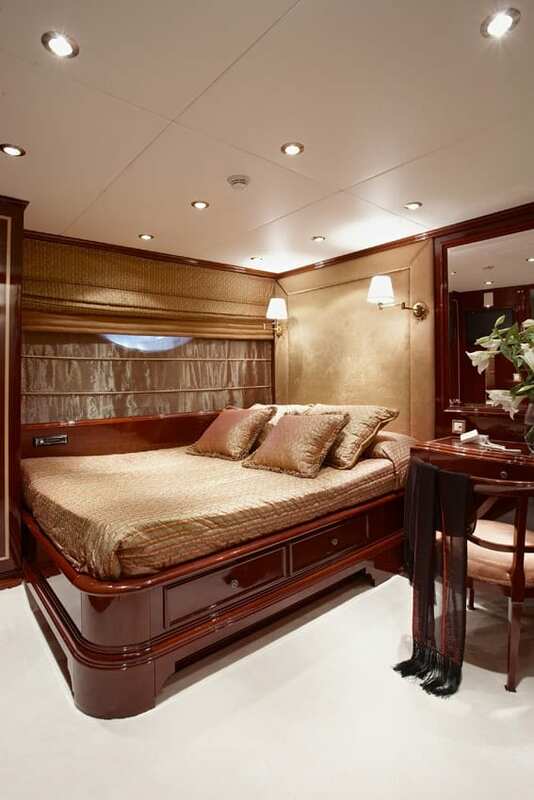 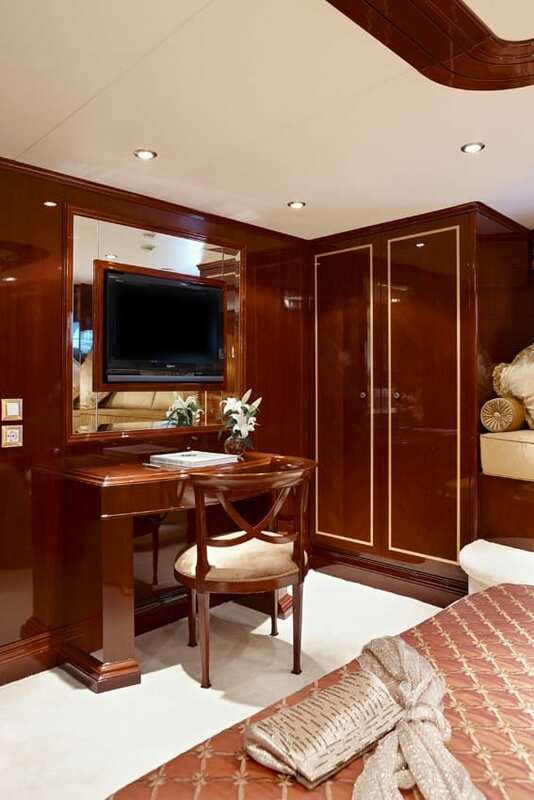 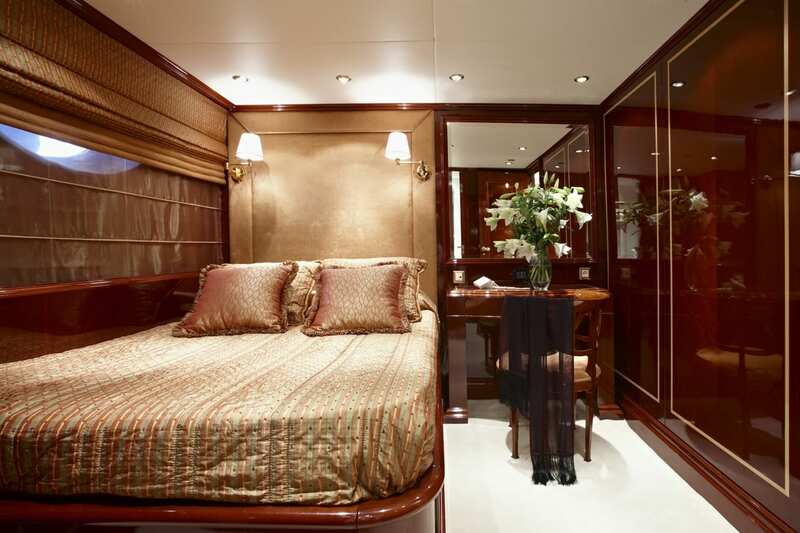 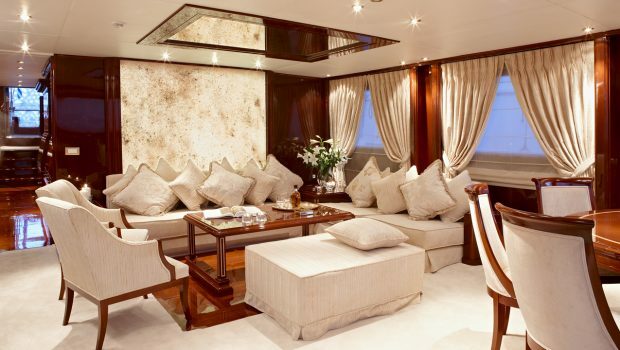 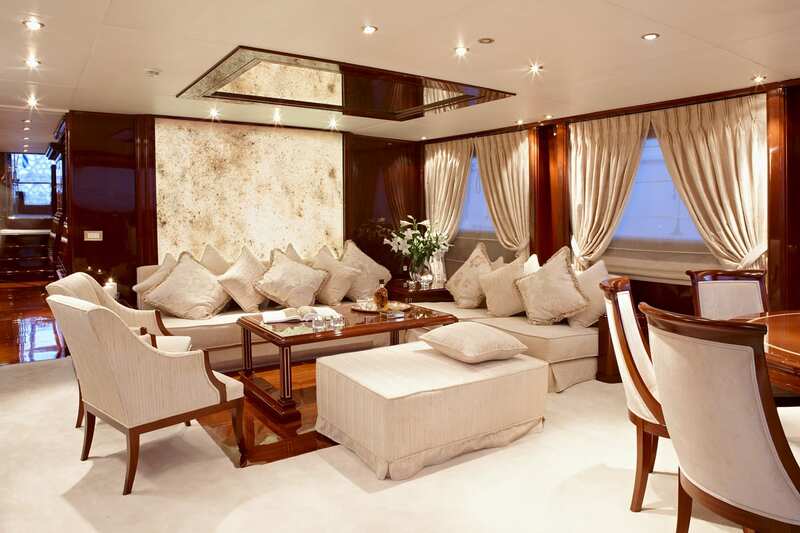 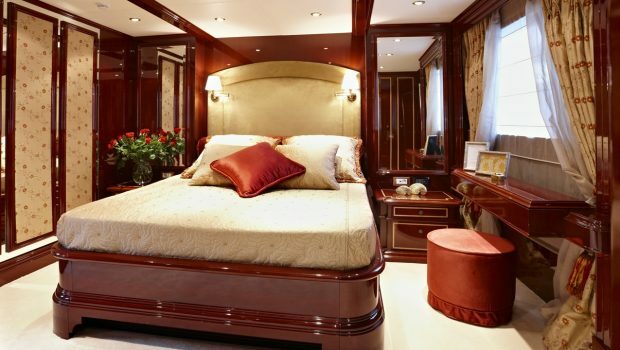 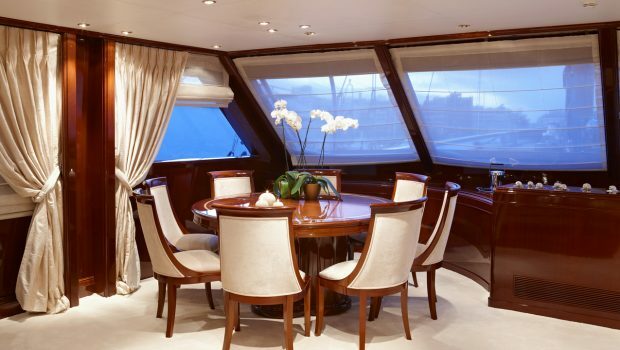 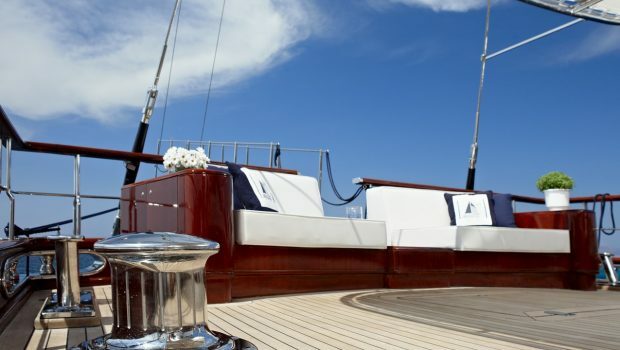 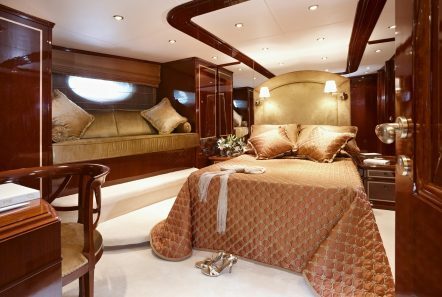 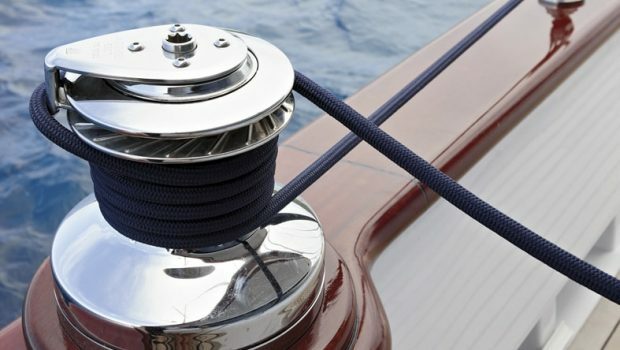 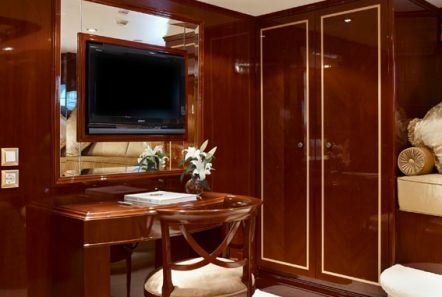 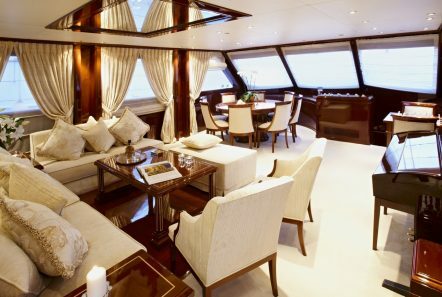 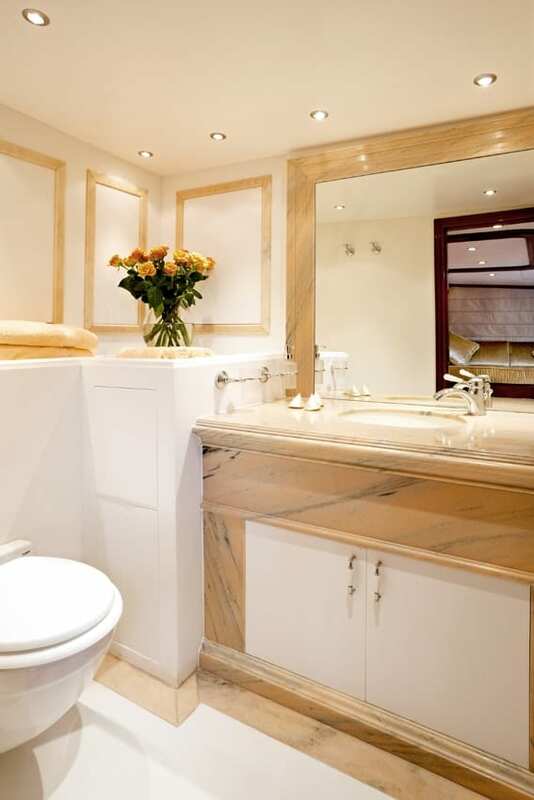 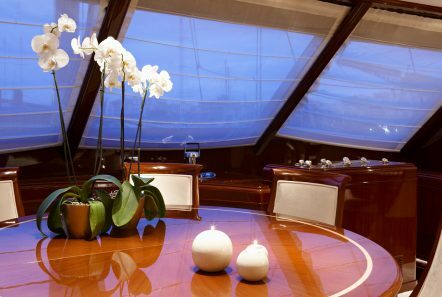 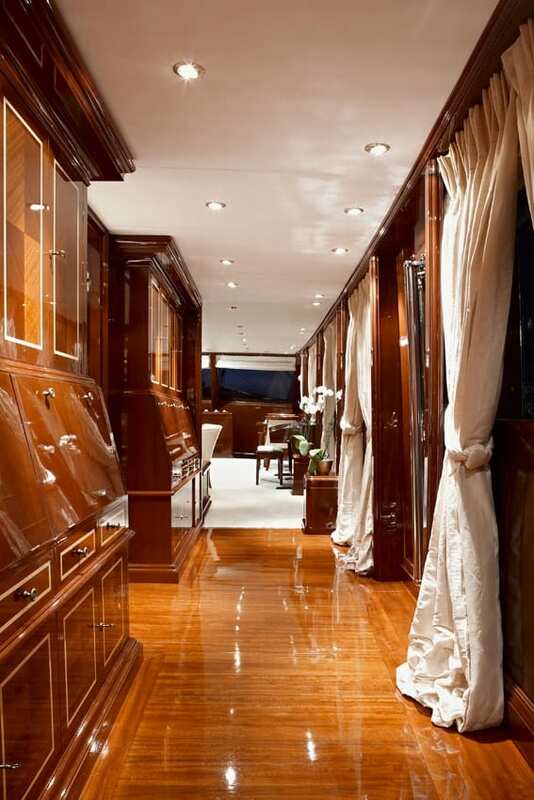 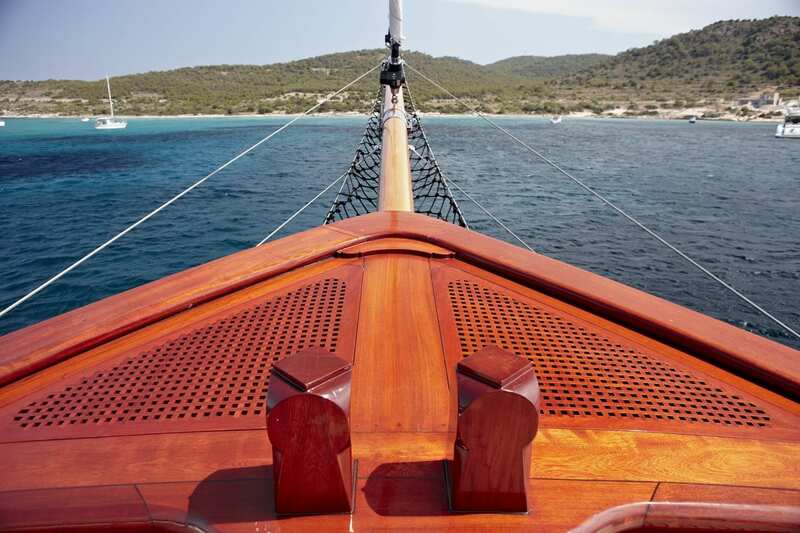 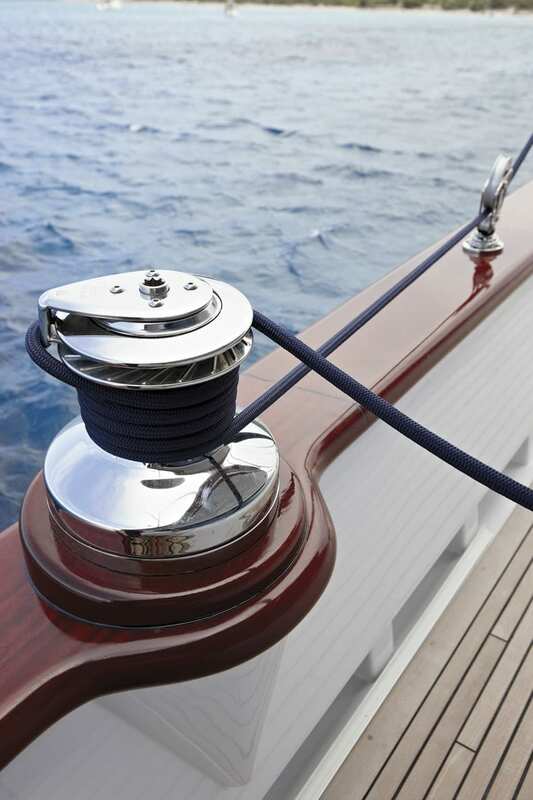 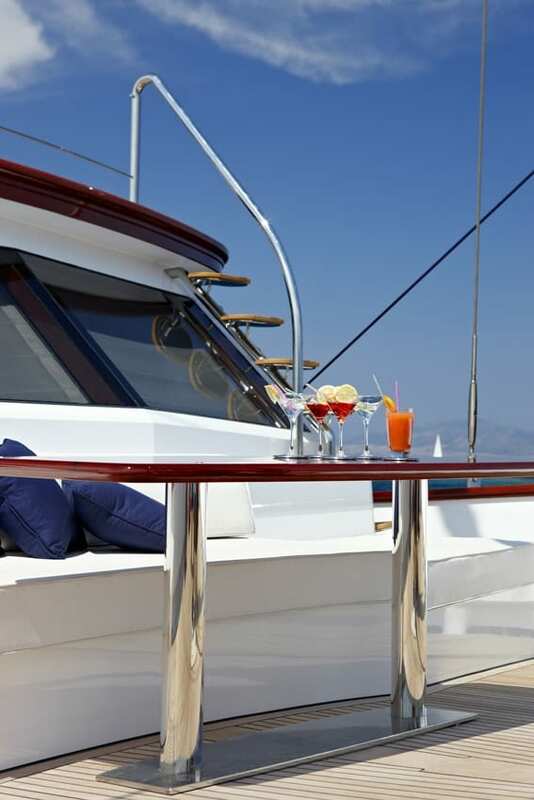 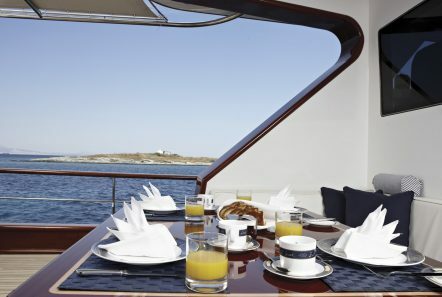 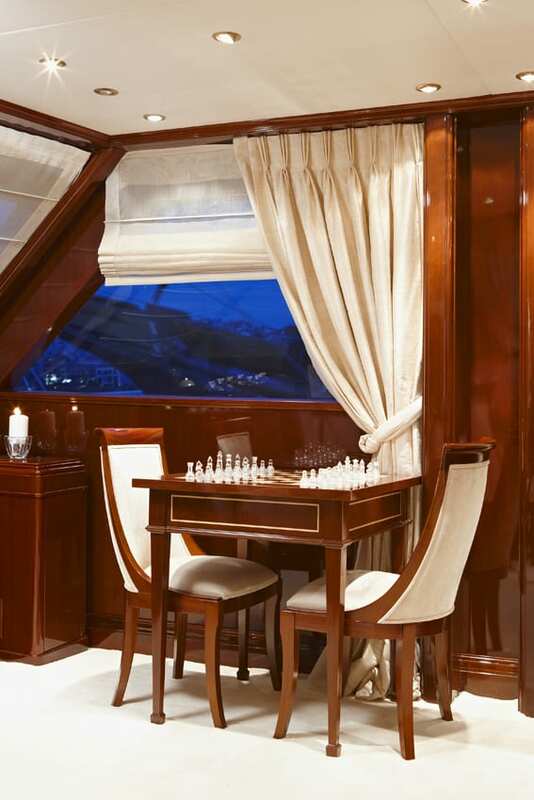 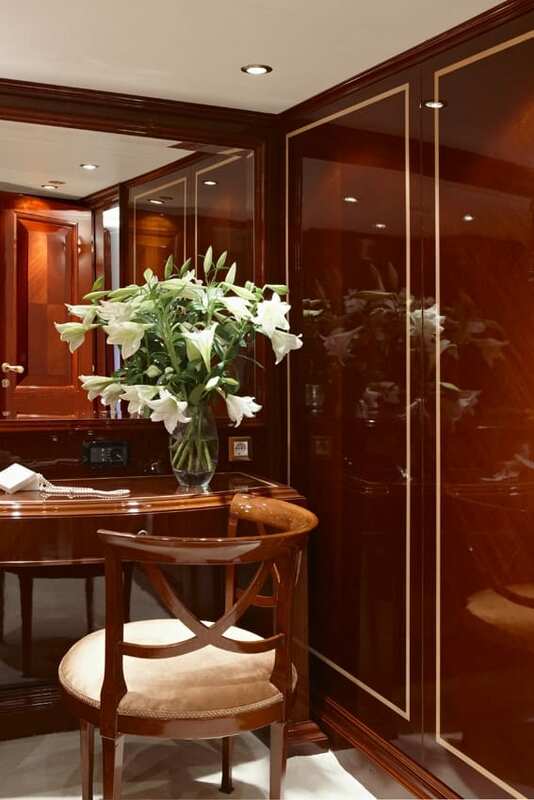 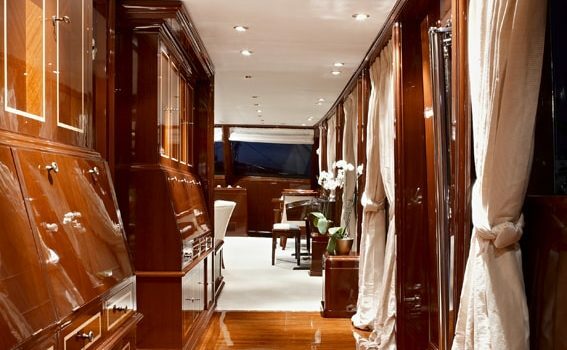 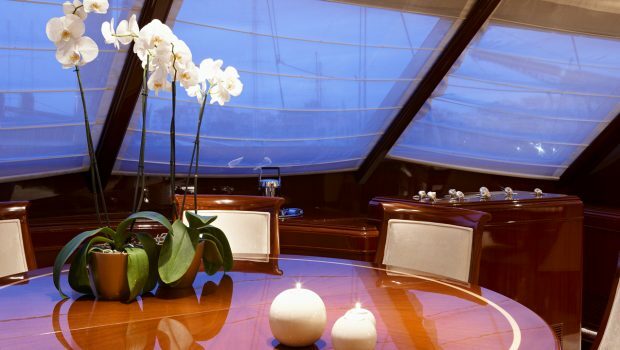 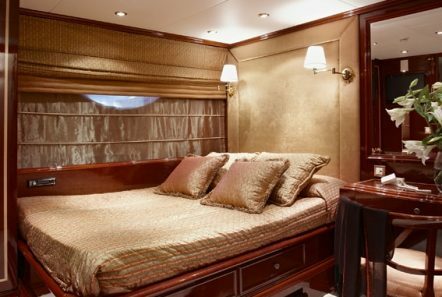 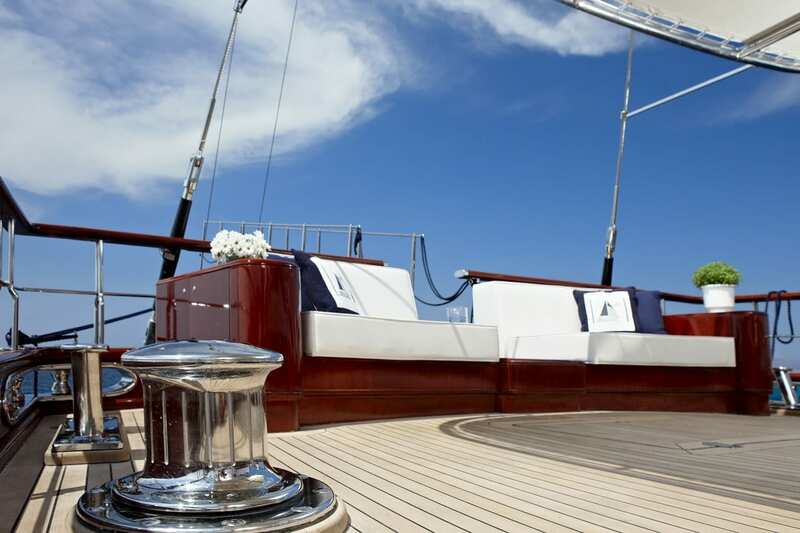 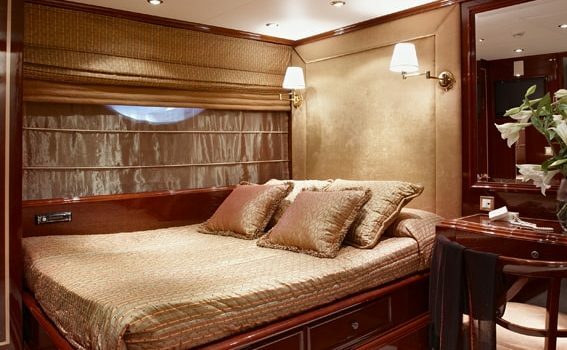 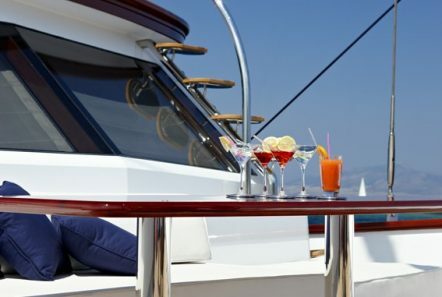 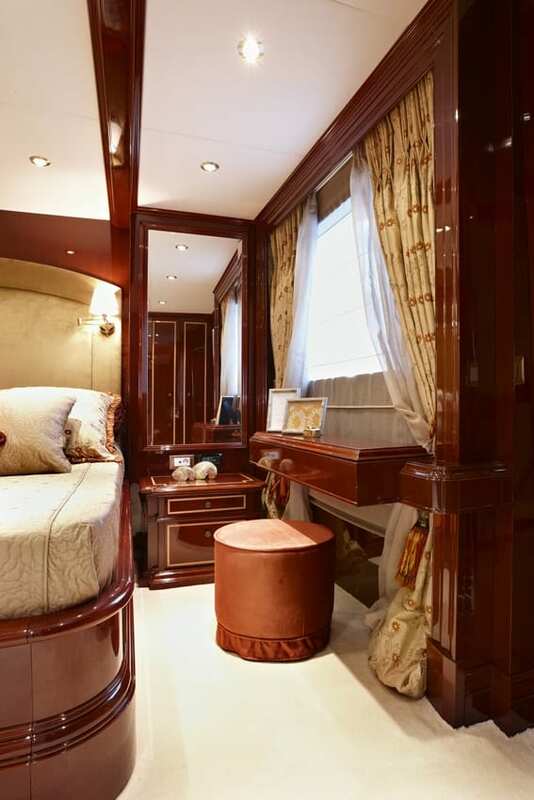 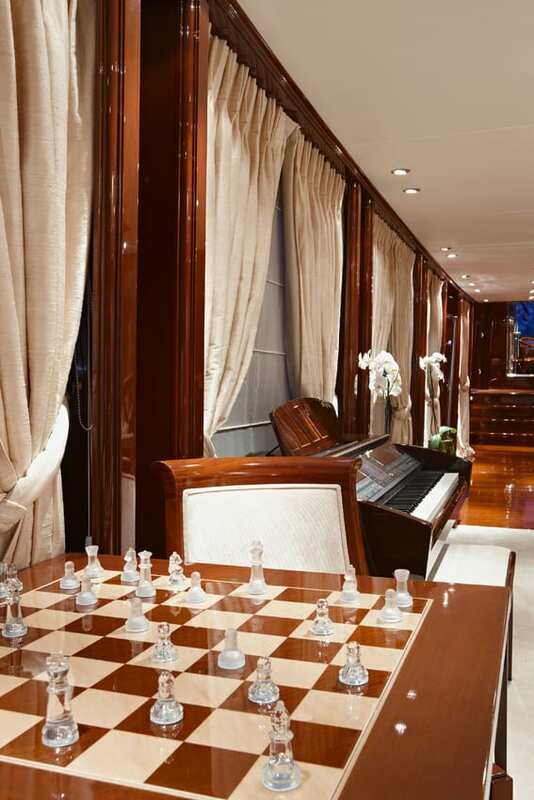 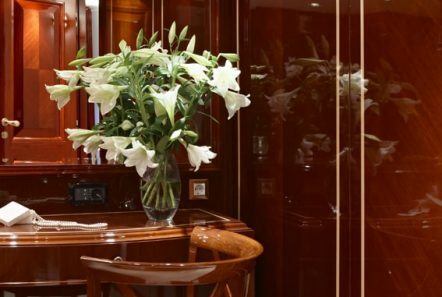 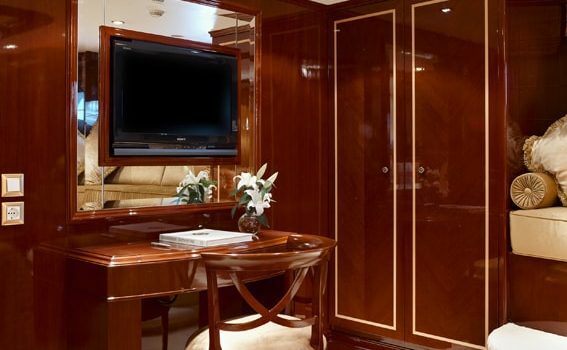 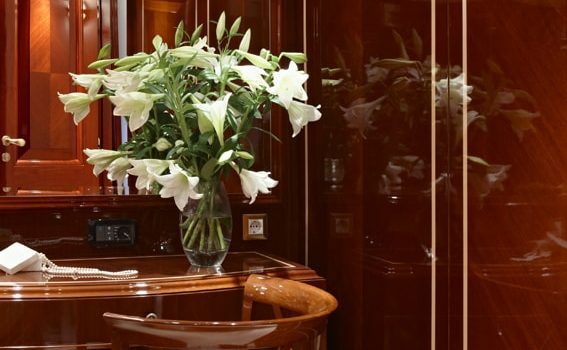 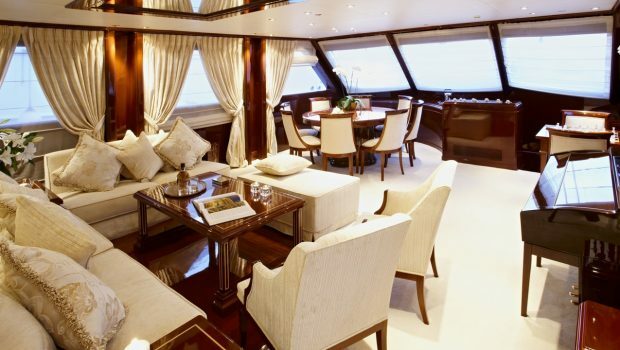 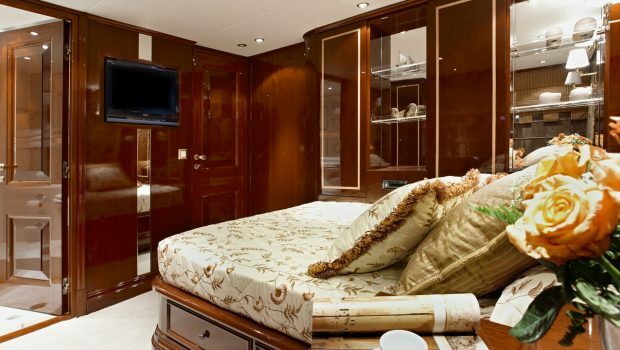 Beautiful rich reddish woods are throughout the yacht creating a warm and regal environment. 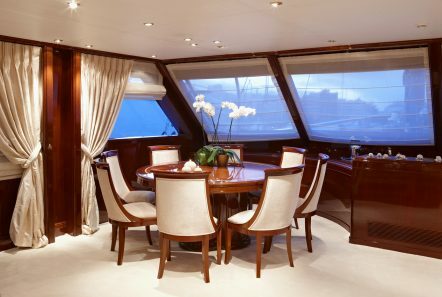 The salon and the dining area create an open space with large panoramic windows throughout the yacht allowing for breathtaking views. 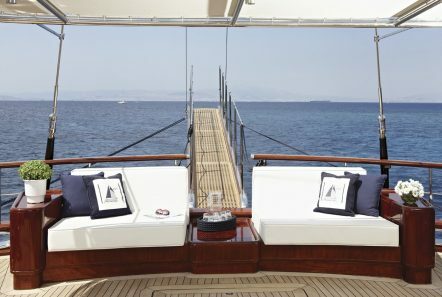 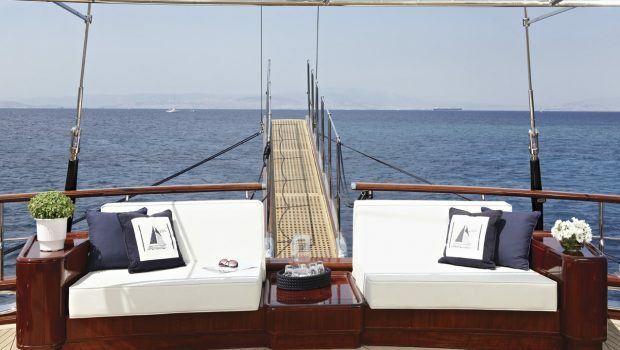 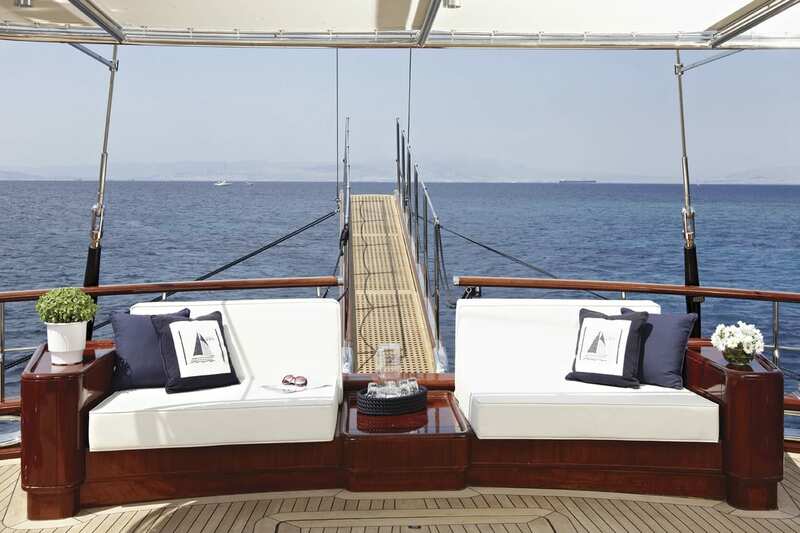 On deck, there is a large elevated area for sunbathing and a fore space for relaxing and enjoying the views.